Patrolman Vinton Margretz was killed in a motorcycle accident on Reber Avenue, near Marsh Street, while responding to a call. He was thrown from the motorcycle and sustained serious injuries. He was transported to Presbyterian Hospital where he died approximately one hour later. 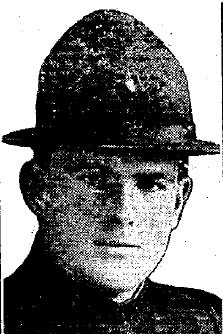 Patrolman Margretz was a U.S. Marine Corps veteran of WWI. He had served with the Waterloo Police Department for a total of about 2 years on two separate occasions. He was survived by his wife.